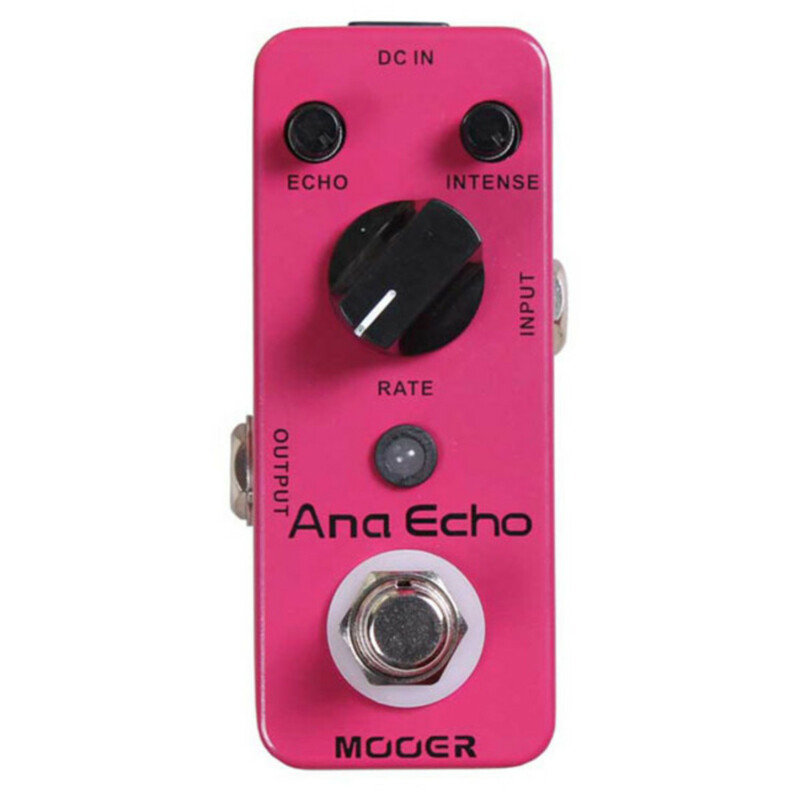 The Ana Echo pedal produces a warm, clear and smooth analog delay sound due to its full analog circuitry inside its small, exquisite unit. 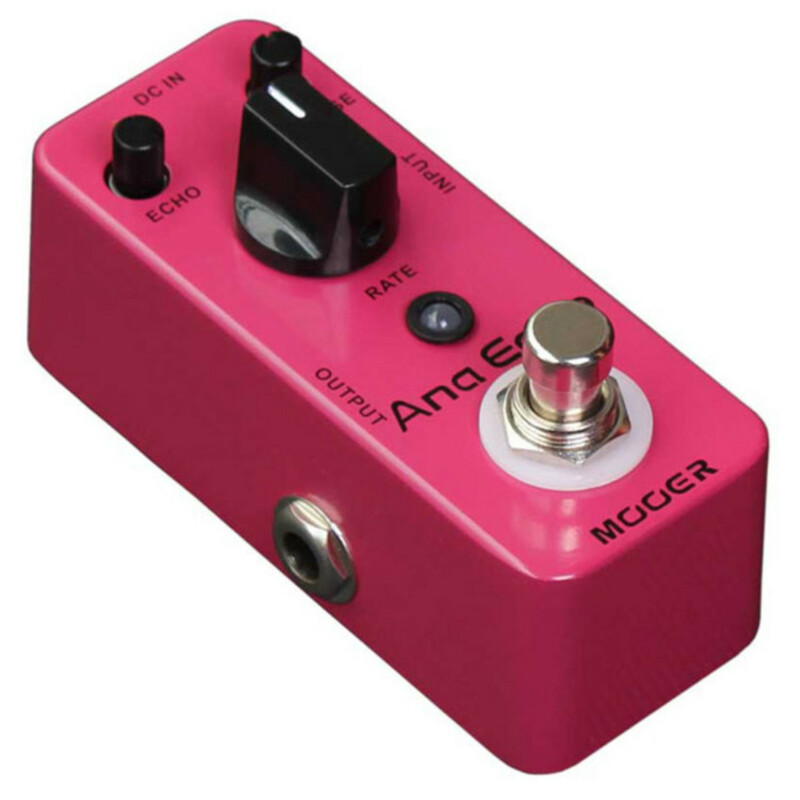 The full metal shell features a true bypass footswitch, LED indicator light and 1/4" mono input and output. Adjust the level of delay effects with the Echo knob, and intensify the feedback and delay time with the Intense and Rate controls.